Assistance from caregivers is essential for seniors, especially if they have limited mobility. They need to get to their medical appointments with security and go home safely. Some seniors fail to attend to their medical appointments due to lack of assistance and unsure security, which causes them to ditch and miss the medical advice of their doctor. Wound care and post-surgery care is recommended to be performed by skilled and licensed nurses. Seniors who just went through a surgical procedure have to have a caregiver assist them during their recovery. The span of time for recovering involves a lot of time in putting efforts for preparing a healthy meal for seniors and dressing and disinfecting the wound. That’s why the care and assistance of caregivers are much recommended. When elders have the need to attend to events such as birthdays and weddings, caregivers will be there to assist them during transportation. They provide companionship and assistance to seniors who need it most such as when they want to go for a shopping or if they’re heading to the park. There are activities and routines such as household chores, preparing meals, and maintaining hygiene that elders have to perform in order for them to feel comfortable around their environment. However, elders would need the assistance of caregivers as some couldn’t complete all of these due to some difficulties and health complications. Caregivers can provide you their utmost care and attention when needed, and at the same time, give you the independence you need. They won’t deprive you of doing things they know you have the capability to do. When it comes to assistance and health, you can always rely on caregivers! 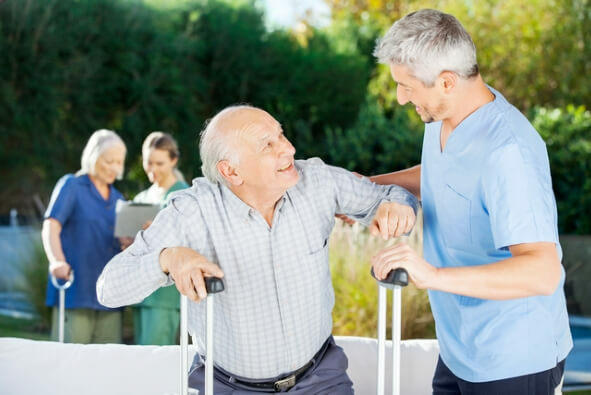 Also, when it comes to Non-Medical Home Care in Opitz Boulevard Woodbridge VA, OptimumCare Home Care Services would be more glad to give you the help you need for an improved life. We are a Non-Medical Home Care in VA and the best in the area with our licensed and trained staff. If you’re interested, don’t hesitate to call us at 703-490-8003 or visit our website at www.optimumcarehomecare.com. This entry was posted in Non-medical home care and tagged caregiver, caregiving, Non-medical home care, non-medical home care in Greensboro Drive McLean VA, non-medical home care in Opitz Boulevard Woodbridge VA. Bookmark the permalink.